Neko Atsume is an adorable game where players attempt to entice cats to their yard/home. The Giant Cushion is large enough for two cats to use at the same time. The cats in Neko Atsume are able to share! The Giant Cushion flavor text says: This cushion is large and sturdy enough for fiestas or siestas. It costs 25 gold fish in the Neko Atsume store. Neko Atsume has plenty of cube shaped beds for cats to use. This one is the Tiramisu Cube. This item does not attract any of the rare cats. Many of the other Neko Atsume cats will use it. 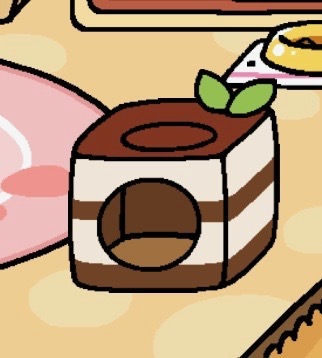 The Tiramisu Cube flavor text says: “Indulge your cats lounging instincts with this decadent tiramisu-themed hammock cube.” It costs 28 gold fish in the Neko Atsume store. Jeeves and Sapphire are two rare cats that always appear together. The way to attract rare cats is to put things that they like into your yard/home. 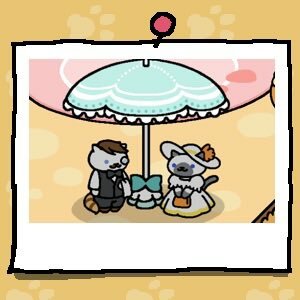 According to the Neko Atsume Wiki, Jeeves is Sapphire’s valet. They like two items: the Tower of Treats, and the Fairy Tale Parasol. I’ve only seen them under the Fairy Tale Parasol. If they someday decide to stand on the Tower of Treats, I will update this blog post. 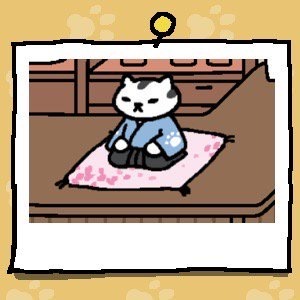 Mr. Meowgi is a Rare Cat in Neko Atsume. The way to attract a Rare Cat to put the things that the Rare Cat likes into your yard/home. Eventually, the cat you are trying to collect will appear. Several other cats will also use the special item. 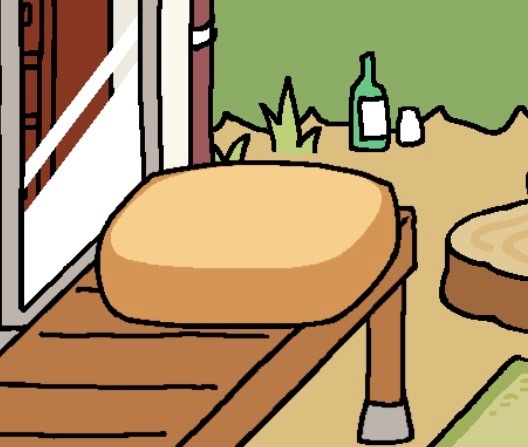 Mr. Meowgi likes two items: the Sakura Pillow and the Scratching Log. It took a very long time before Mr. Meowgi sat on the Sakura Pillow, but he used the Scratching log almost right away. Chairman Meow is one of the “Rare Cats” in Neko Atsume. The only way to get a “Rare Cat” to visit your yard/home in Neko Atsume is to place an item that a specific cat likes. After that, all you can do is wait and keep filling up the food dishes. In general, you have to wait a while between when you place a desirable item and when the cat you were hoping to attract appears. Chairman Meow likes two items. One is the Earthenware Pot, and the other is the Sunken Fireplace. The Earthenware Pot can only be used by one cat at a time. The Sunken Fireplace can hold up to three cats – plus Chairman Meow when he appears. 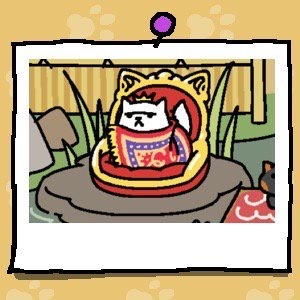 Xerxes IX is one of the “Rare Cats” in Neko Atsume. The only way to get a “Rare Cat” to visit your Neko Atsume yard/home is to place an item that a specific “Rare Cat” likes. In general, you will have to wait a bit between when you place the item and when the cat you wanted to attract appears. Xerxes IX only likes two items. One is the Royal Bed. It is a rather glitzy bed that looks quite a bit like a throne. Several other Neko Atsume cats will use the Royal Bed, too. Xerxes IX also likes the Zanzibar Cushion. A few other Neko Atsume cats like it, too. Saint Purrtrick is one of the “Rare Cats” in Neko Atsume. It is more difficult to get a “Rare Cat” to visit your Neko Atsume yard/home than it is to get the more common cats to visit. The best way to convince a “Rare Cat” to visit is to place an item that the specific cat likes. 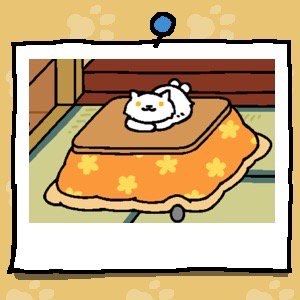 Saint Purrtrick will visit you if you put the Kotatsu somewhere in your Neko Atsume yard/home. He also likes the Silk Crepe Pillow. It took a long time before Saint Purrtrick decided to visit me. Fortunately, may other Neko Atsume cats will play with the Kotatsu and the Silk Crepe Pillow. Billy the Kitten is one of the “Rare Cats” in Neko Atsume. The way to attract a “Rare Cat” to your Neko Atsume yard/home is to place an item that a particular special cat likes. Eventually, the cat you are trying to convince to visit you will appear. Billy the Kitten only likes one item – the Cowboy Hat. You can buy it in the Neko Atsume Shop for 400 silver fish. 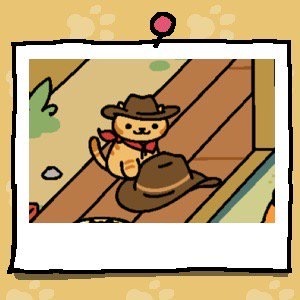 Several other Neko Atsume cats also like to use the Cowboy Hat. 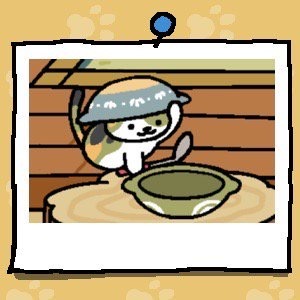 Ms. Fortune is one of the “Rare Cats” in Neko Atsume. The way to attract one of the special cats is to figure out what items they prefer and to put those items into your yard/house. Eventually, the cat you are trying to convince to visit you will appear. Some special cats like one particular item, and others are interested in two items. There is only one item that can cause Ms. Fortune to appear. It is the Cardboard House. I had great difficulty getting Ms. Fortune to visit the Cardboard House! Conductor Whiskers is one of the “Rare Cats” in Neko Atsume. The way to attract one of the special cats to your yard/home is to place items that a specific cat likes. With some luck, that cat will (eventually) come visit. Conductor Whiskers likes two different items. He will appear and use the Twisty Rail and the Cardboard Choo-Choo. 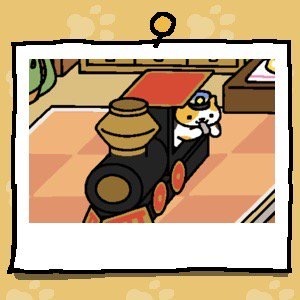 Conductor Whiskers is a cat that is attracted to trains. Many of the other Neko Atsume cats will also use those two items.